To Pay for your video(s) with a Check: Colleen will send you an email with her mailing address once she receives your Video Order Form which indicates you'd like to pay by check. 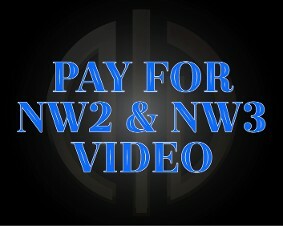 Note, paying by check will add 1 to 2 weeks to your video turn-around time. STANDARD VIDEOS do NOT have hides and intentional distractors marked and multiple camera angles are sent as separate videos. Click here for a complete list of what's included. PREMIUM VIDEOS will have arrows marking the hides and multiple camera angles are merged into one seamless video. Click here for a complete list of what's included. PayPal: You do not need a PayPal account to use the orange "Buy Now" buttons above - you can pay using a credit card if you prefer. The more videos you buy, the deeper the discount. The bulk purchasing discounts are already built into the prices when using the orange "Buy Now" buttons above. So long as video from all the NW1 trials are still available for sale. 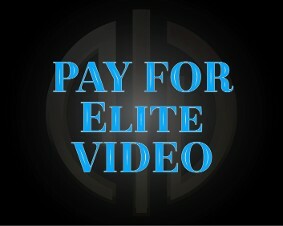 NW2, NW3, Element Specialty, Elite, and Summit trials are exempt from this since they have their own discount schedule. You may also pre-pay and pre-order trial video from future trials in order to obtain the maximum discount. Click here to see Colleen's current NW trial filming schedule. And click here to read the refund policy. When buying video from more than one trial, you may submit one payment using the orange "Buy Now" buttons above, but you'll need to submit one NW TRIAL VIDEO ORDER FORM for EACH trial so Colleen knows how to fulfill your order. Go to the main page to find the Video Order Form. Confirmation of Payment: PayPal will email you a receipt once you pay and that will be your only receipt (it will be sent to the email you submitted to PayPal). You will not receive a separate email from Colleen confirming that your payment has been received. Keep the PayPal receipt information handy just in case there are questions later on. PayPal will automatically notify Colleen of your payment once you submit it. Alternate Video-Delivery Method: If you'd like your videos mailed to you on a Thumbdrive via the US Post Office, instead of the typical digital download, remember to also pay for the Shipping and Handling, which is an additional $10 charge. Scroll down to the bottom of this page to find that payment button... This delivery method will add 1 to 2 weeks to the standard turn-around time. The more videos you buy, the deeper the discount. The bulk purchasing discounts are already built into the prices when using the orange "Buy Now" buttons above. So long as video from all the trials are still available for sale. NW1, Element Specialty, Elite, and Summit trials are exempt from this since they have their own discount schedule. The more searches you buy, the deeper the discount. The bulk purchasing discounts are already built into the prices when using the "Buy Now" buttons above. So long as video from all the Elite trials are still available for sale. 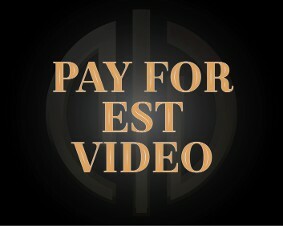 The purchase of Elite trial video may not be combined with any other trial levels because they have their own discount schedule. You may also pre-pay and pre-order trial video from future trials in order to obtain the maxmum discount. 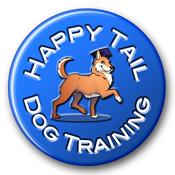 Click here to see Colleen's current NW trial filming schedule. And click here to read the refund policy. When buying video from more than one trial, you may submit one payment using the orange "Buy Now" buttons above, but you'll need to submit one VIDEO ORDER FORM for EACH trial so Colleen knows how to fulfill your order. Go to the main page to find the Video Order Form. EST Trials include: Vehicle (L1V, L2V, L3V), Container (L1C, L2C, L3C), Interior (L1I, L2I, L3I), and Exterior (L1E, L2E, L3E) trials. PayPal: You do not need a PayPal account to use the "Buy Now" buttons above - you can pay using a credit card if you prefer. Discounts: prices for all Element Specialty Trial videos are already discounted by 20% for Standard and 25% for Premium even if you're only purchasing one video total. So, they can't be combined with other types of trials (such as NW1, Elite, Summit) for additional discounts because they have their own discount schedule. And these discounts are already built-in to the "Buy Now" buttons above. When buying video from more than one trial: you may submit one payment using the orange "Buy Now" buttons above, but you'll need to submit one VIDEO ORDER FORM for EACH trial so Colleen knows how to fulfill your order. Go to the main page to find the Video Order Form. 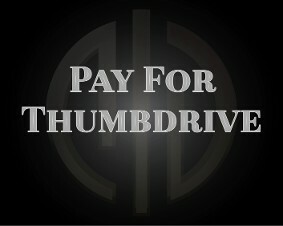 There is an extra charge of $10 to cover the cost of a new 4 GB Thumbdrive and the postage charges. You do not need a PayPal account to pay via PayPal - if you prefer, you can pay using a credit card when you utilize the PayPal button below. Click on the orange "Buy Now" button below to pay the shipping and handling fee. Click here to learn more about Licensing Rights and the Differences Between Personal Use and Business Use licenses. Use the PayPal button below to pay for the add-on license - click on the drop-down menu located above the orange "Buy Now" button to select the total number of searches, AND THEN click on the "Buy Now" button. 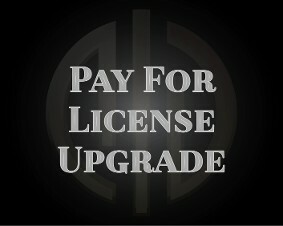 Click on the orange "Buy Now" button below to pay the license upgrade fee.